Yesterday's post was only about the shops I have a voucher for but of course I have more fashion cravings in February. On the one hand there is the Peter Pilotto for Target collection which will be available in 8 days! I especially adore the blazer and the bikini and I will definitely try to get my hands on them. 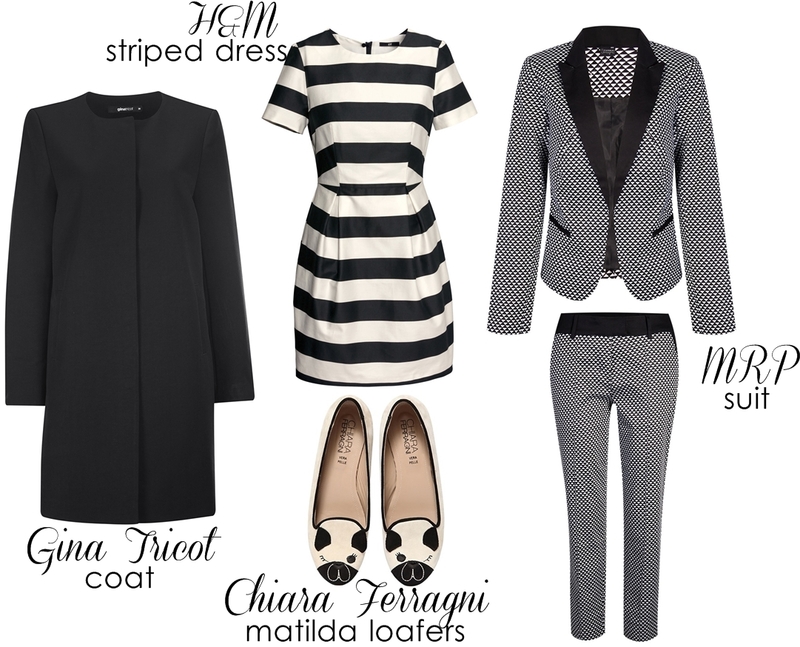 Furthermore I am so in love with the Chiara Ferragni matilda loafers and I wish I had a voucher to buy them! What is on your wish list this month? I love that bathing suit a lot! The print of it is gorgeous! I can't wait to put my hands on Peter Pilotto's collection. Die Peter Pilotto Teile sind der Hammer!" I’m so glad I found your blog! I definitely followed you to keep up with your posts. You should come visit my blog when you get the chance. oh mein gott! ich bin sooo verliebt in die kombi kleid/ mantel und slipper!!! Wow that bathing suit and bag set is SUPER cool. I love it. I wonder if this will be available in the states. My heart skipped a beat at the sight of that Peter Pilotto blazer, wow, what a showstopper! This dress from H&M is incredible!! That dress and loafers are my favourite by far! I want them so much! I was soooo sad to be not able to buy PP collection for Target when I read you previus post where you wrote that it will be available on net a porter, too?! MY god is awsome!!! If you woul like to check my blog here my links! Das H&M Streifenkleid hatte ich schon an, sitzt aber komisch! Auf die Peter Pilotto Kollektion bin ich so gespannt, freu mich drauf! those loafers are just too cute! hahaha precious. i really need to add to my spring/summer wardrobe. i'll be pinning some things.